July 5, 2013  A key piece of evidence in the trial of George Zimmerman is whose voice can be heard on a recording yelling for help. 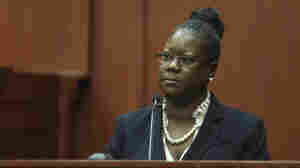 Sybrina Fulton, Trayvon Martin's mother, testified Friday that she's sure it was her son who was screaming. February 25, 2013  Trayvon Martin was killed last February. His death reignited the national debate about race relations. The Florida teenager's mother hopes his killer will be brought to justice, but also hopes his death will inspire changes in "stand your ground" laws. 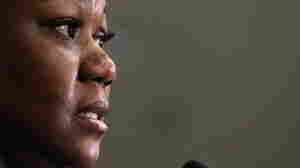 April 13, 2012  Sybrina Fulton says her comments early Thursday were misconstrued. She believes it was an accident that George Zimmerman saw her son, but that once he did the neighborhood watch volunteer deliberately tracked Trayvon Martin. 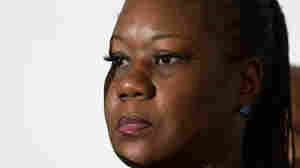 April 12, 2012  Sybrina Fulton wants to hear George Zimmerman apologize and wants him brought to justice, but also believes her son died because the incident "just got out of control and [Zimmerman] couldn't turn the clock back."